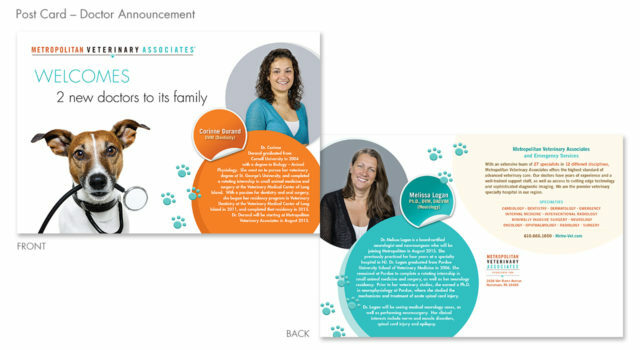 I collaborate with others in the marketing department to work on several different type of projects. 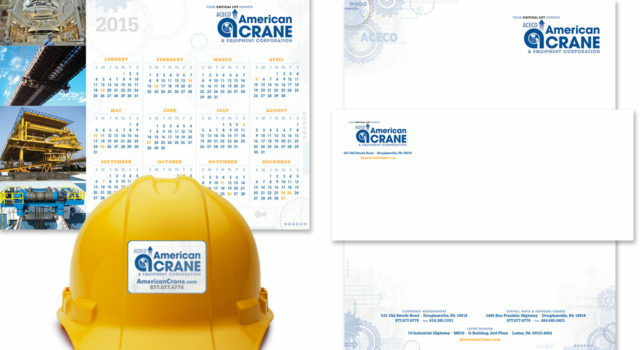 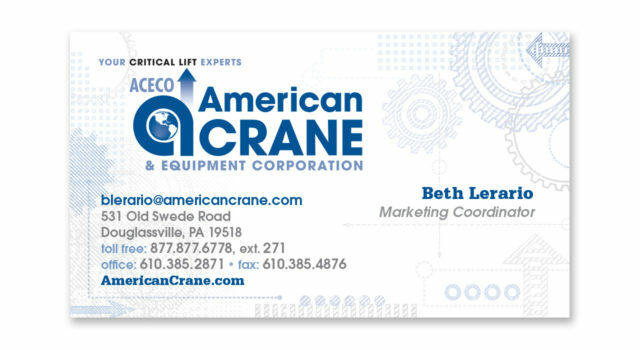 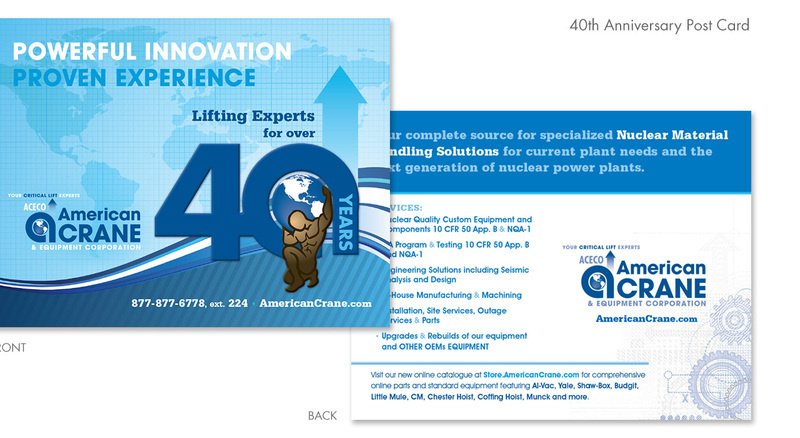 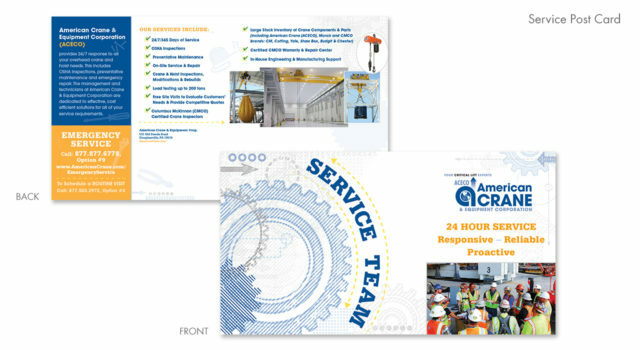 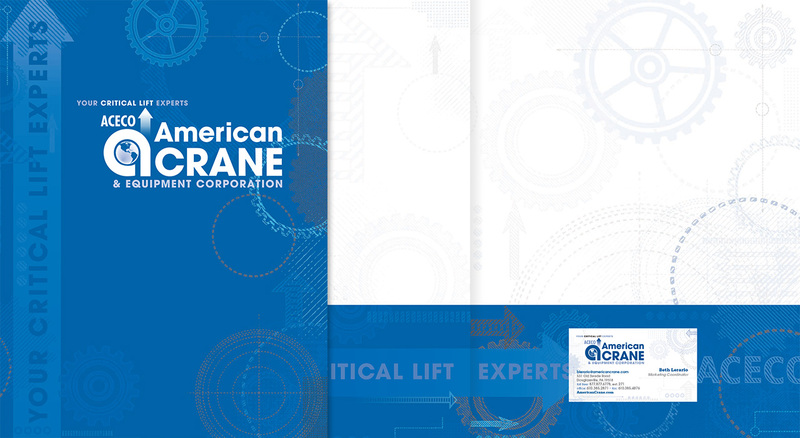 I redesigned logo and all marketing pieces for a local crane company. 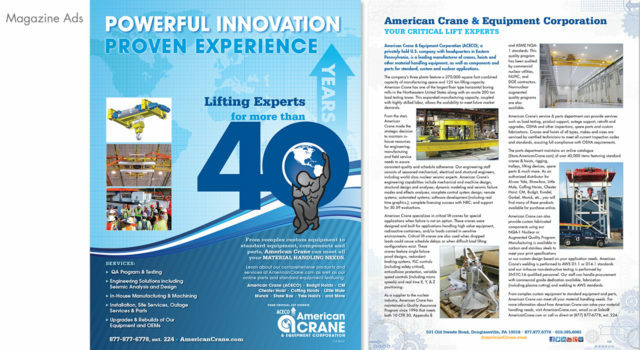 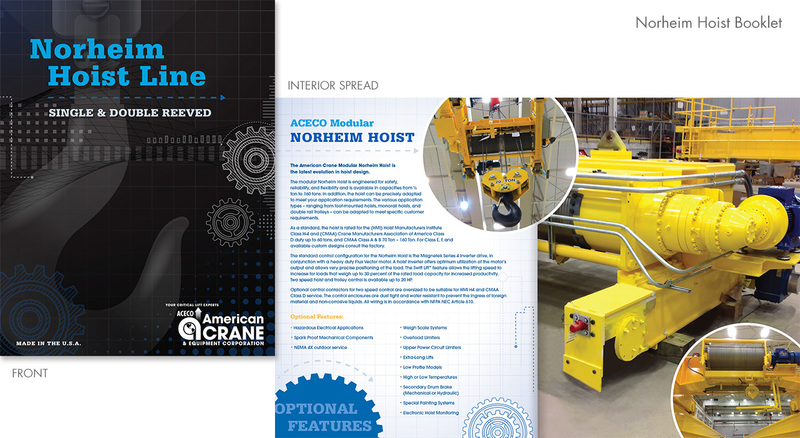 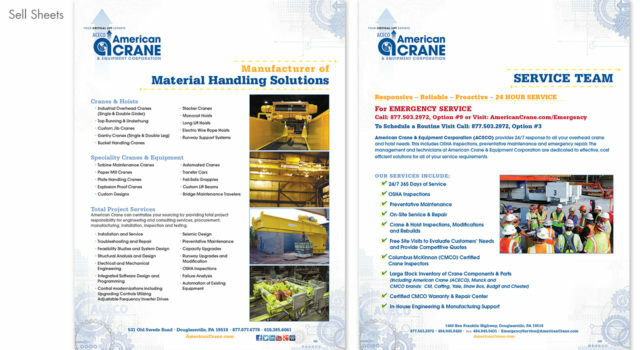 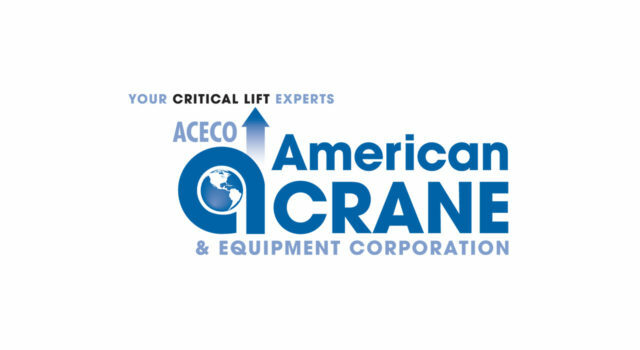 ACECO is the leading manufacturer of cranes, hoists and other material handling equipment. 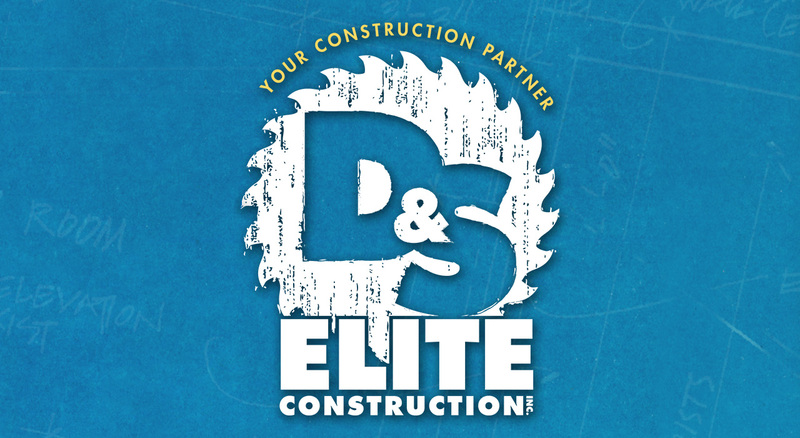 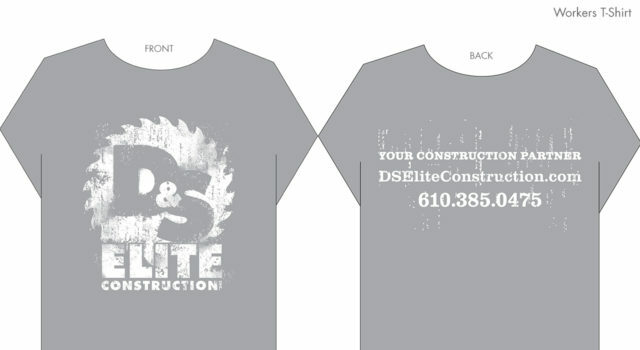 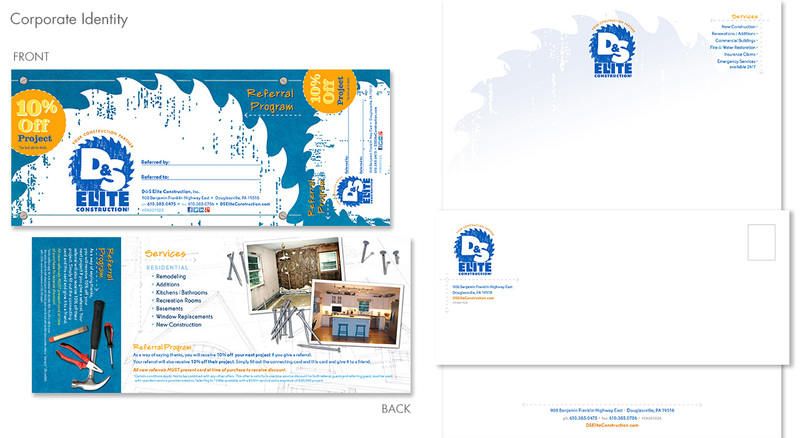 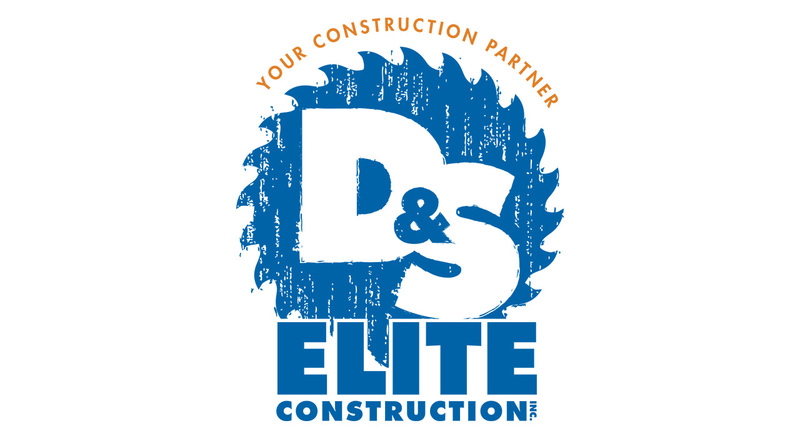 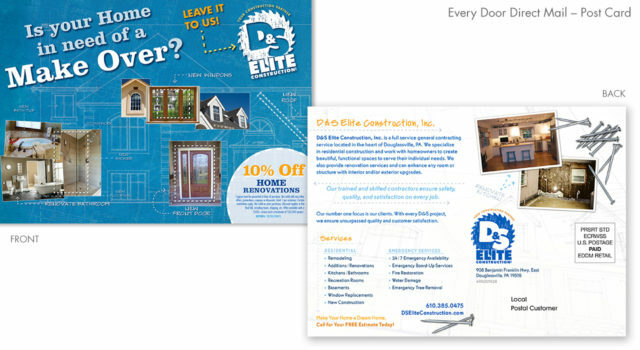 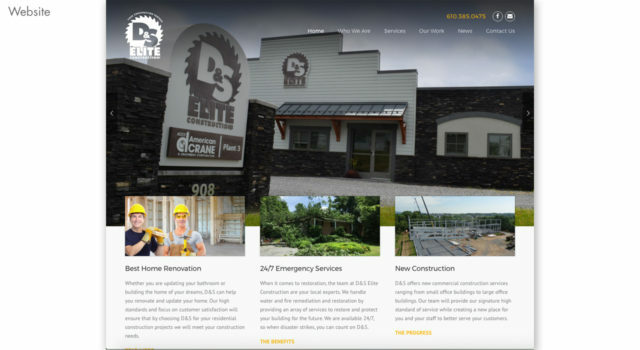 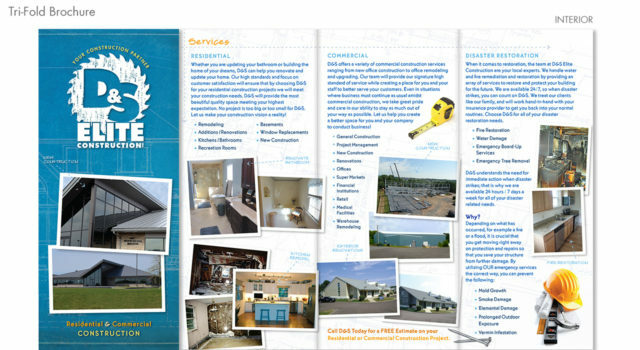 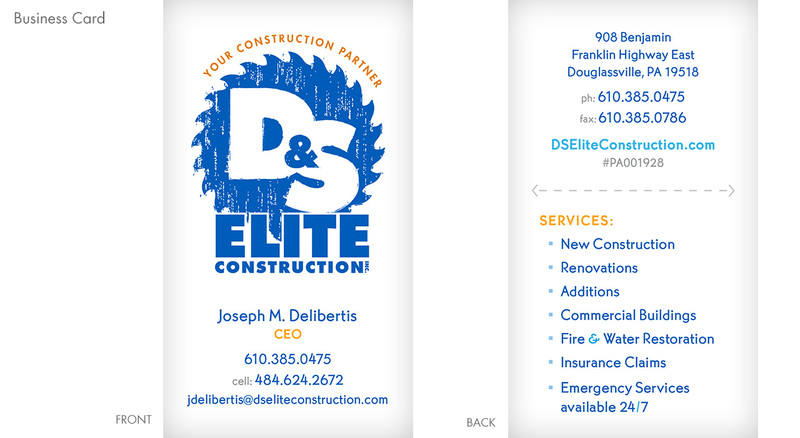 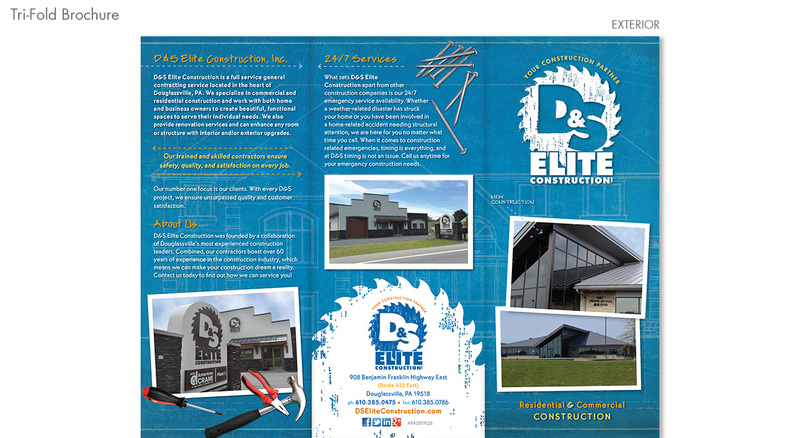 D&S Elite Construction, Inc. redesigned logo and marketing pieces for local construction company. Also just launched there new website. 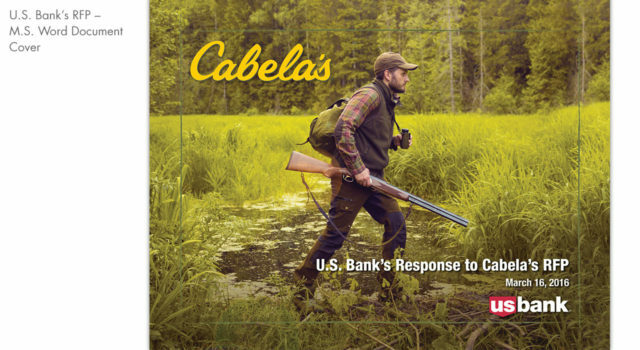 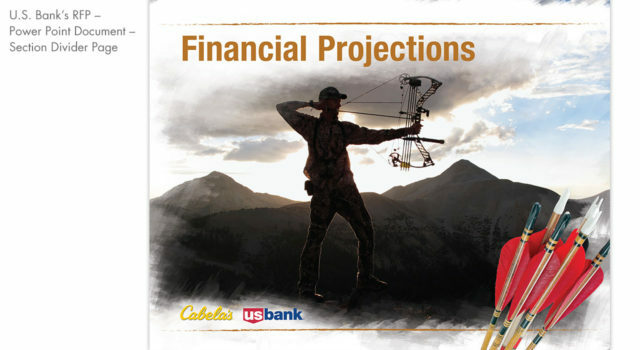 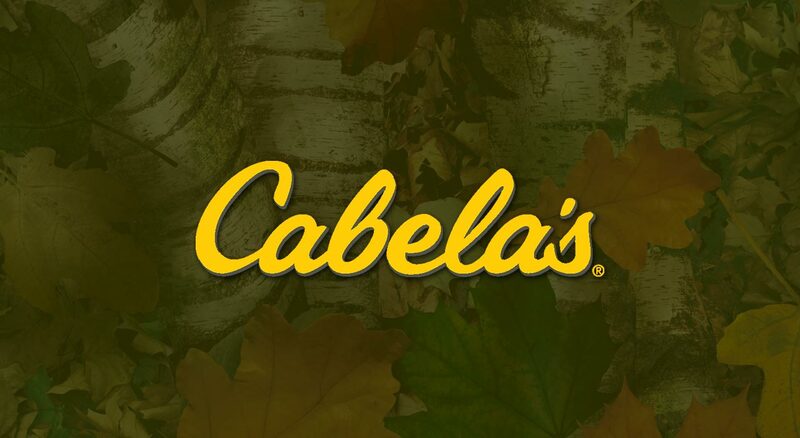 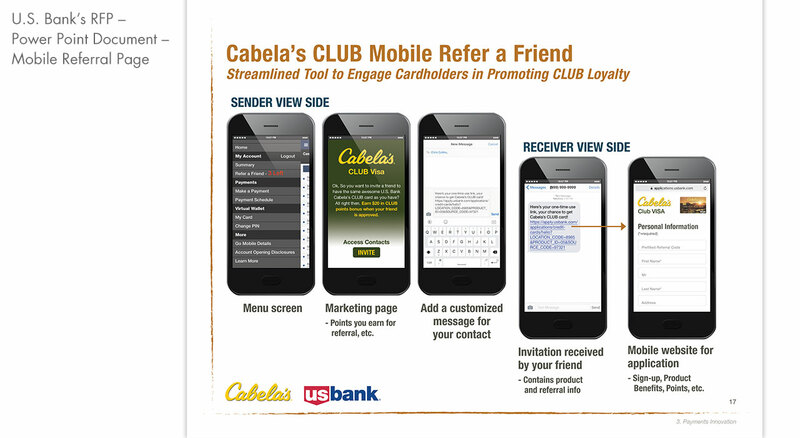 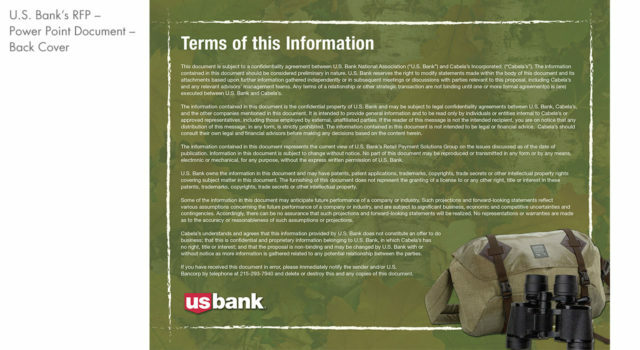 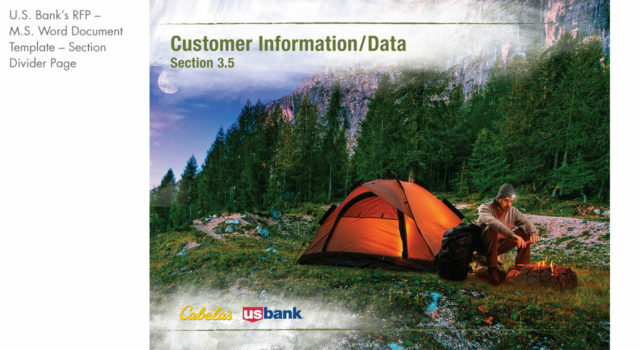 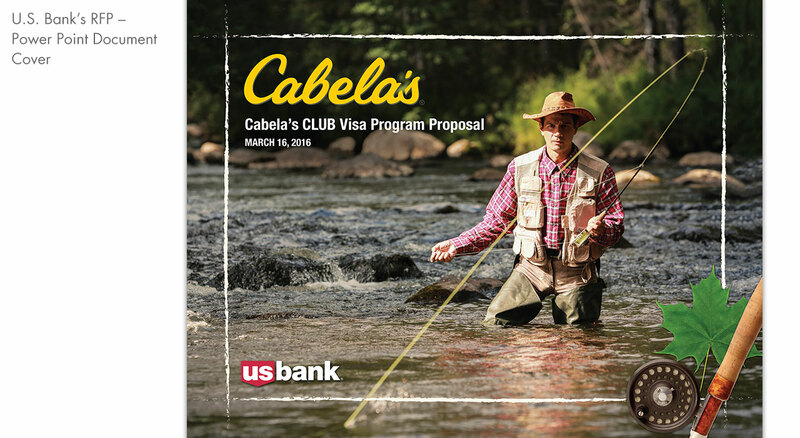 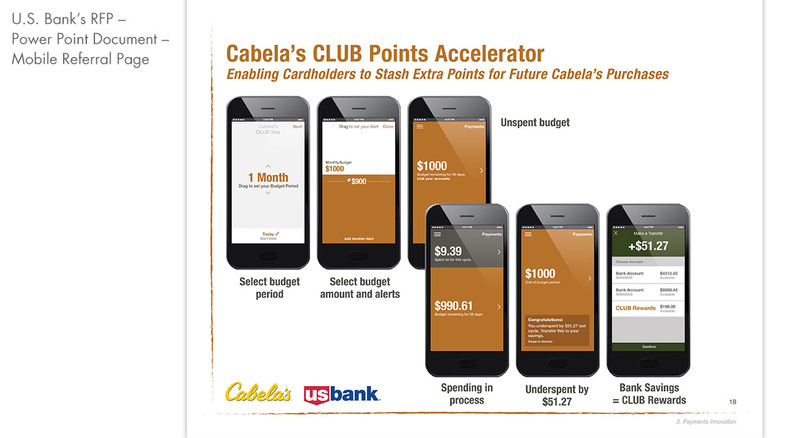 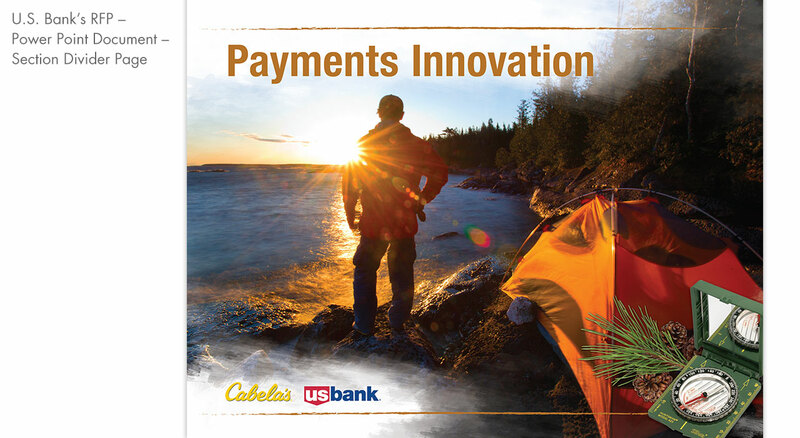 U.S. Bank’s Response to Cabela’s RFP and Cabela’s CLUB Visa Program Proposal. 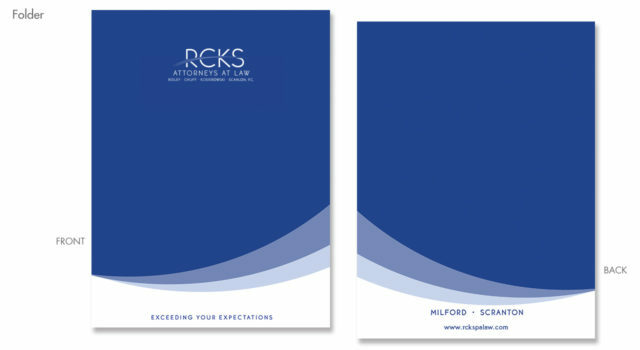 I created templates for both documents. 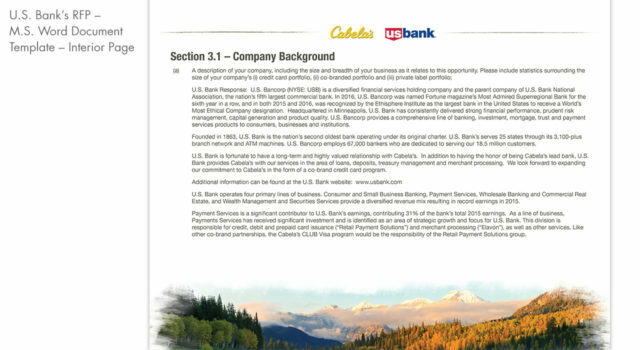 The RFP is a word document and power point templates that were created for U.S. Bank to fill in their information. 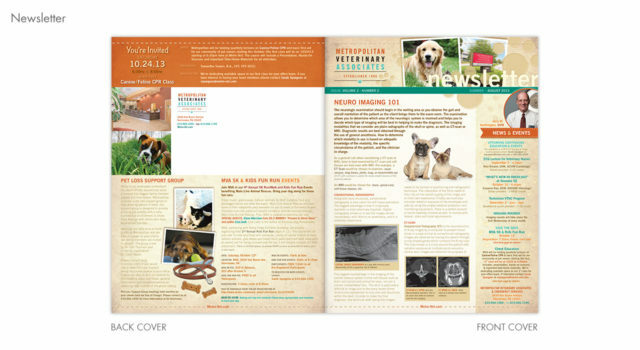 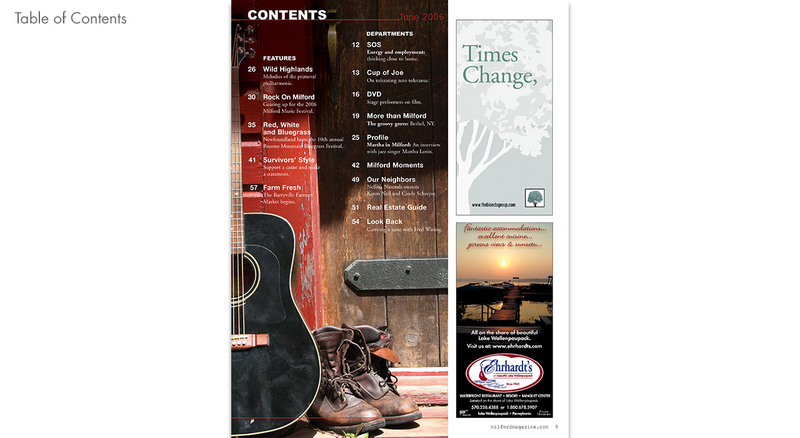 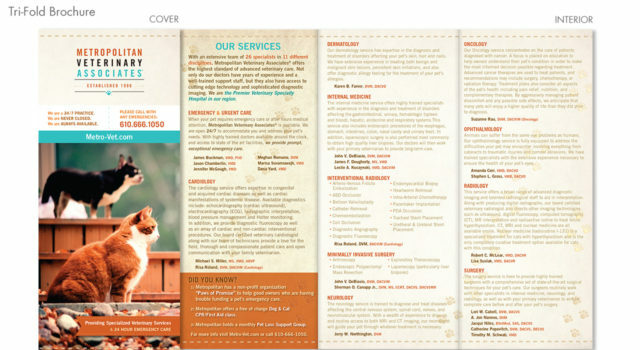 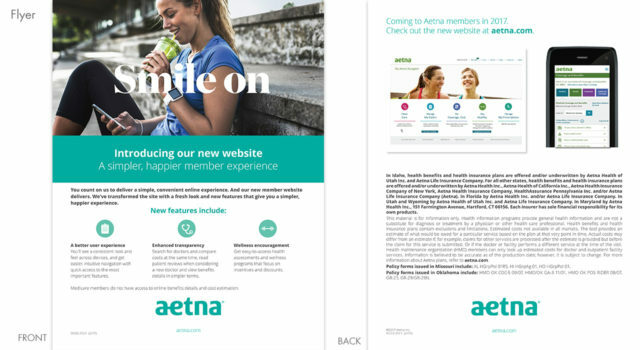 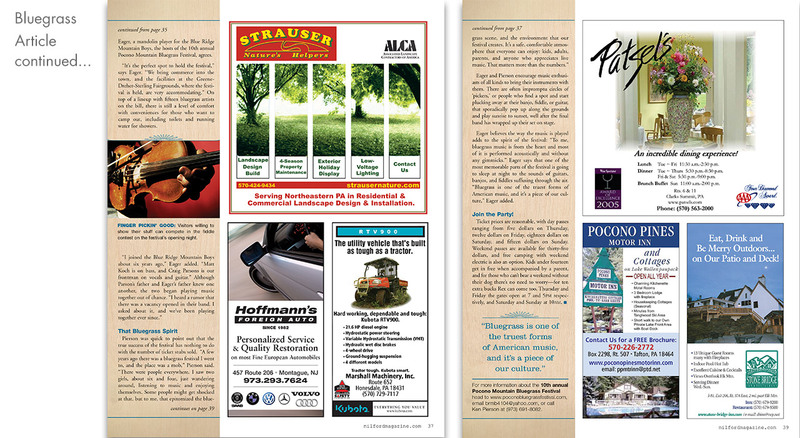 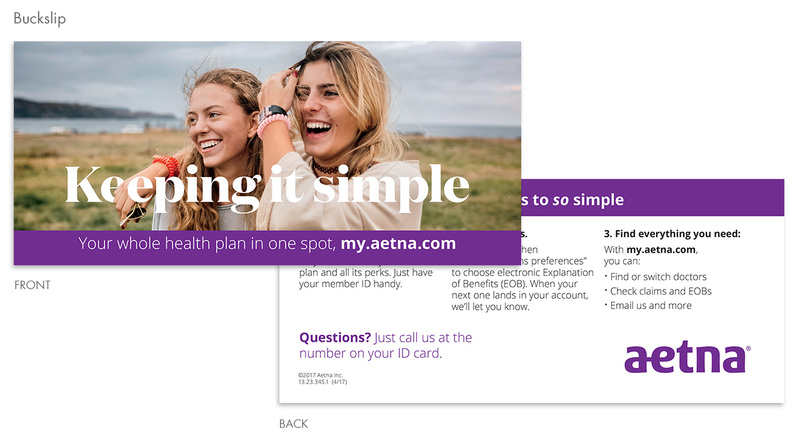 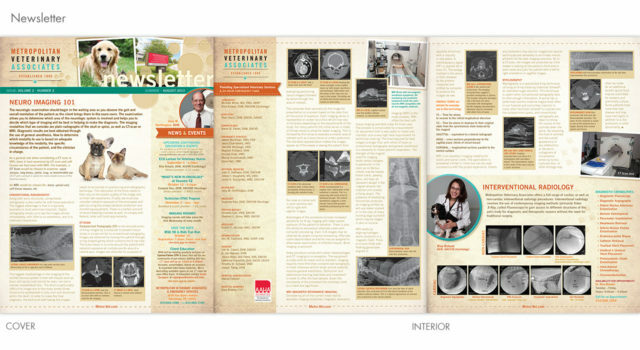 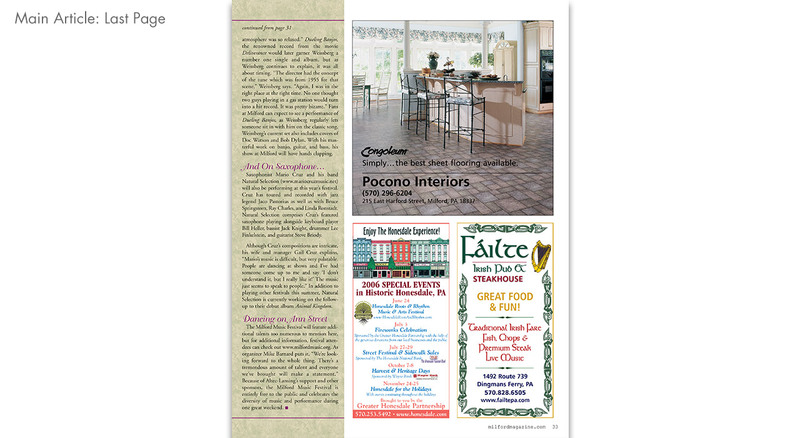 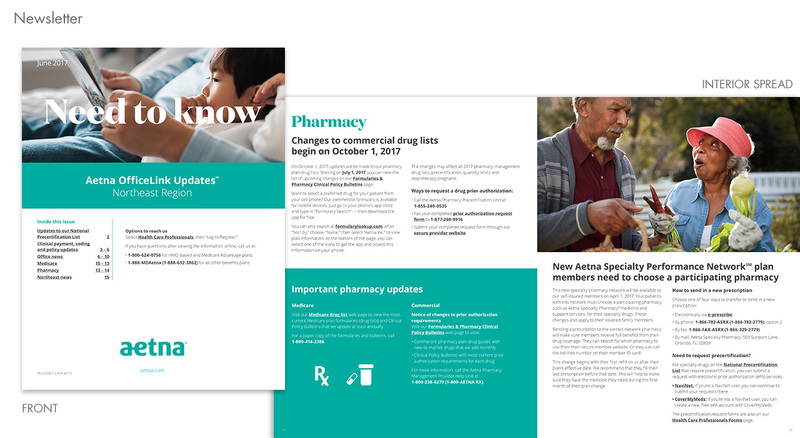 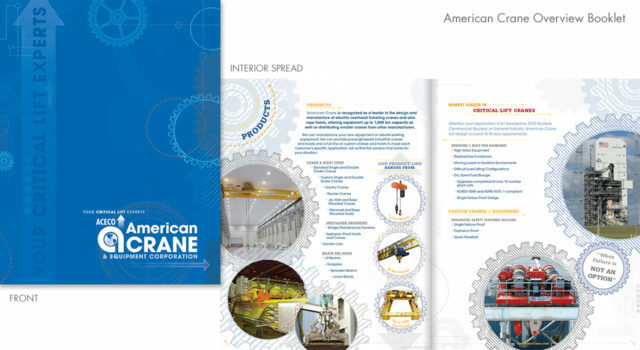 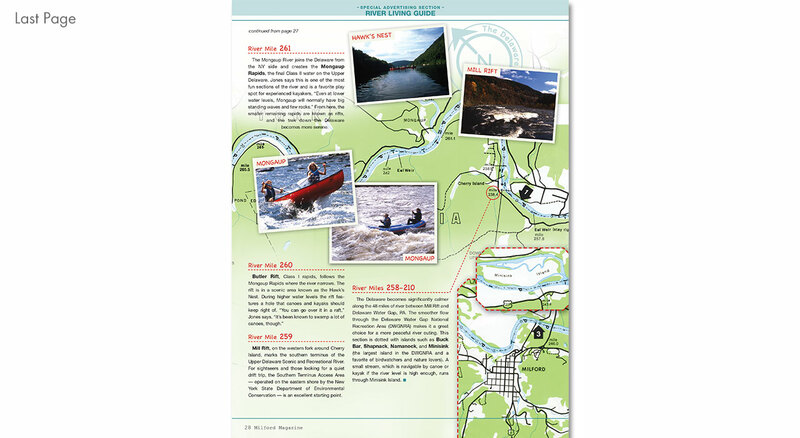 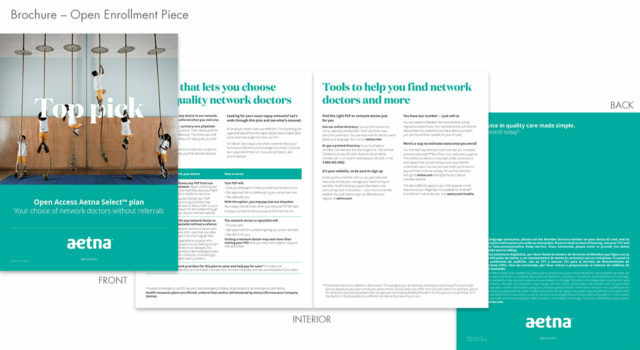 I was given the task to create the cover, the interior page design as well as the section dividers. 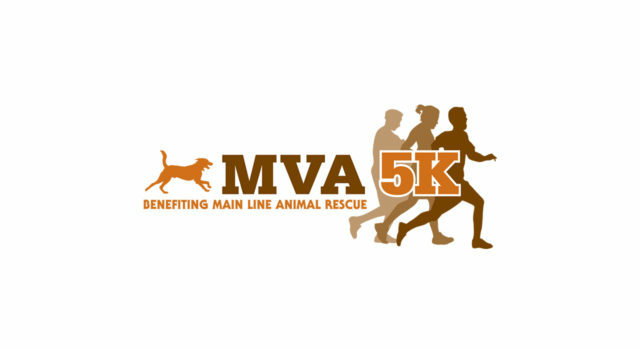 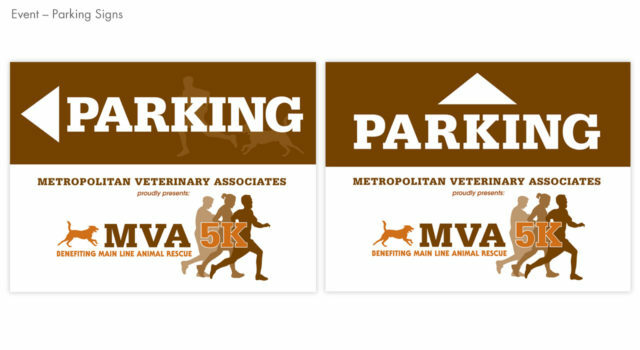 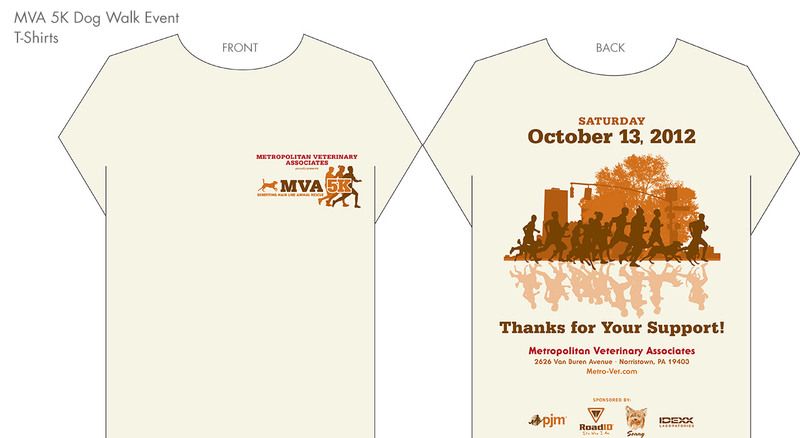 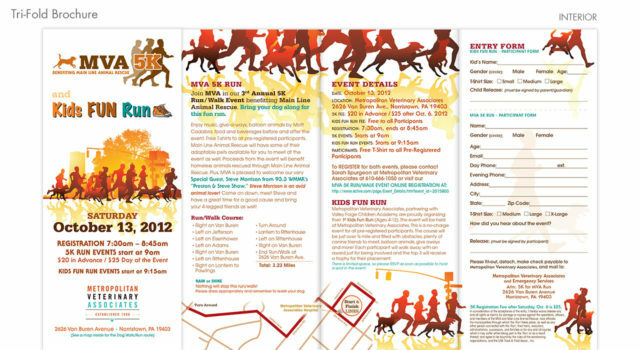 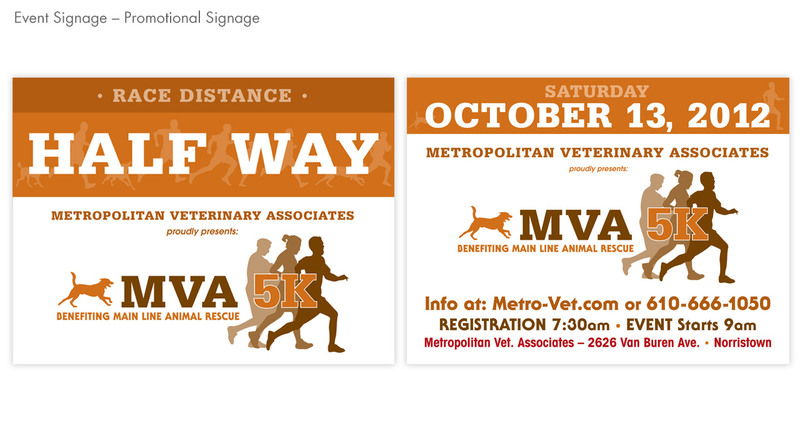 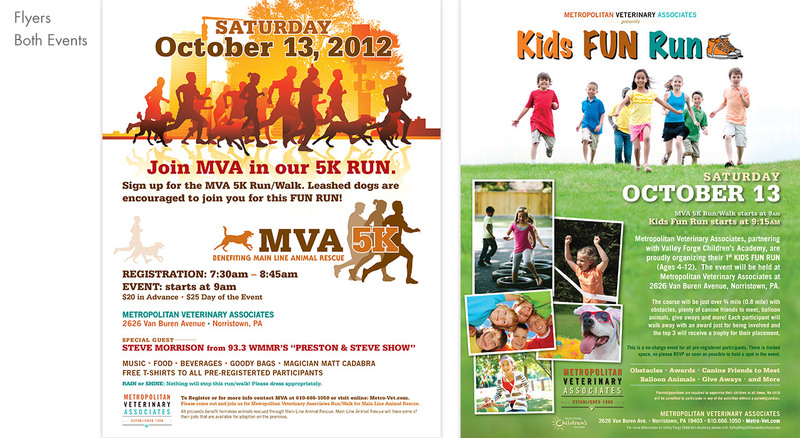 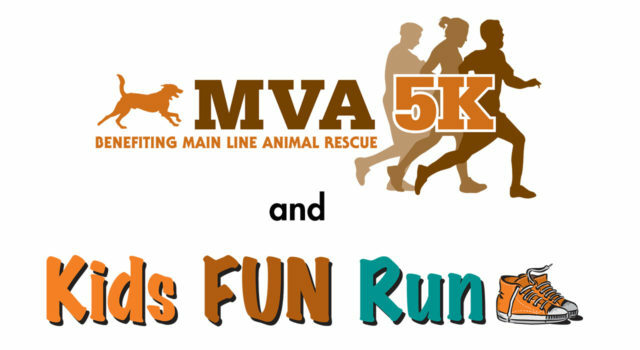 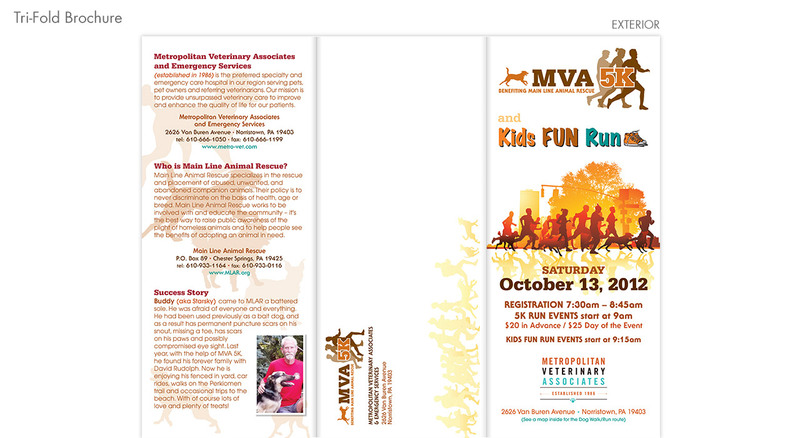 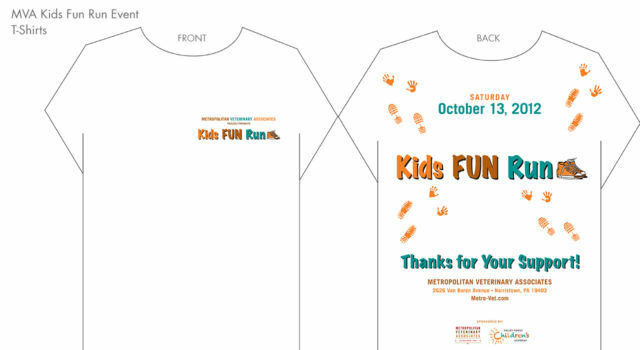 Metropolitan Veterinary Associates 3rd Annual 5K Run/Walk Event benefiting Main Line Animal Rescue. 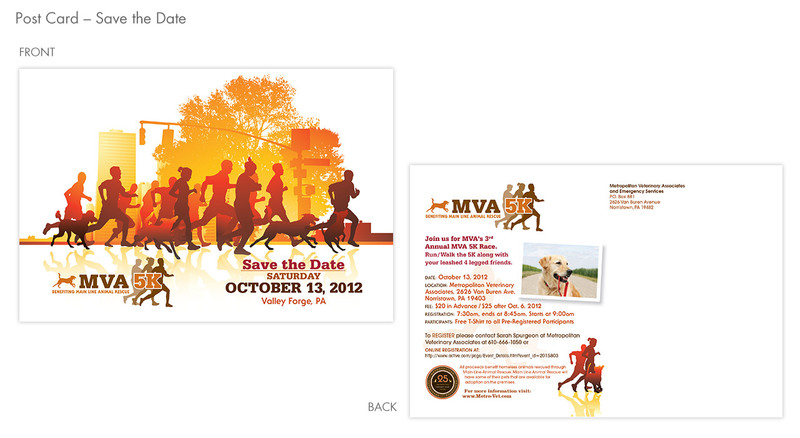 I designed the logo and marketing pieces for both events. 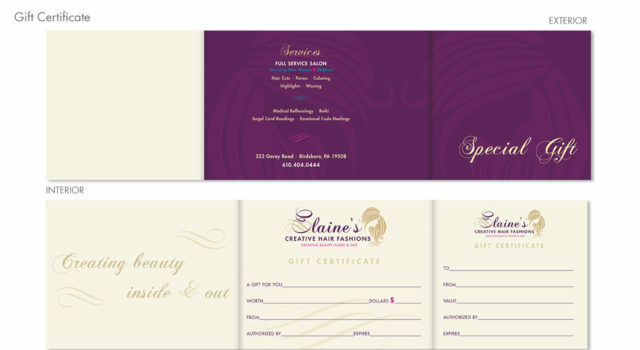 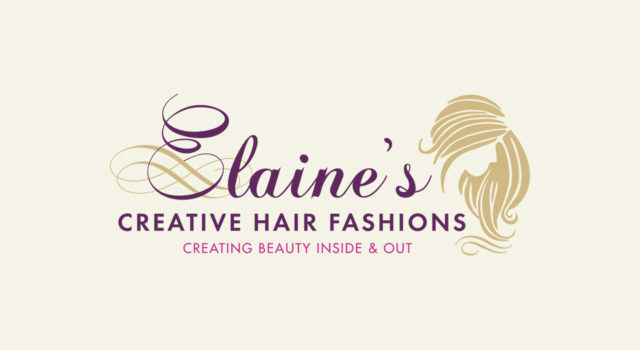 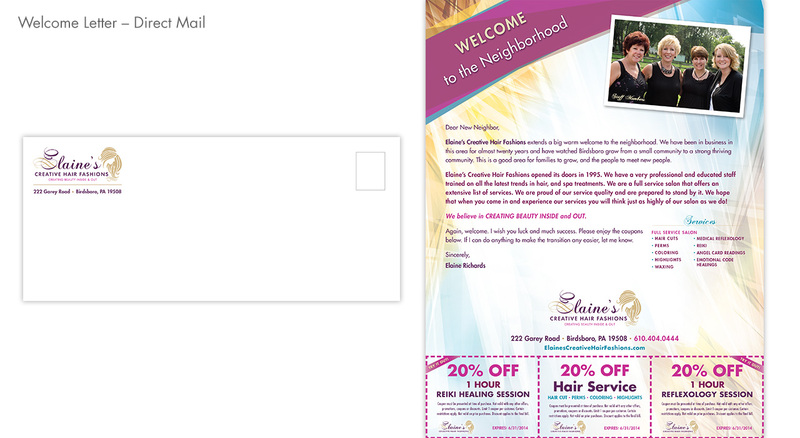 Elaine’s Creative Hair Fashions. 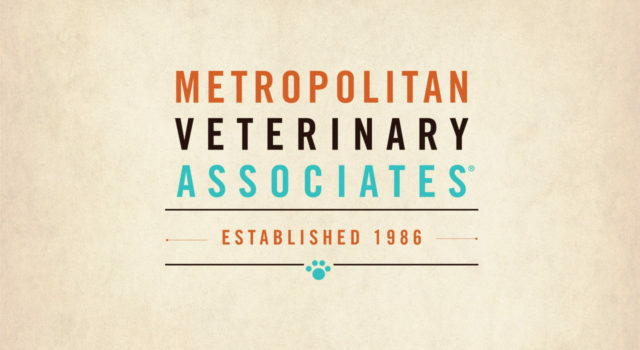 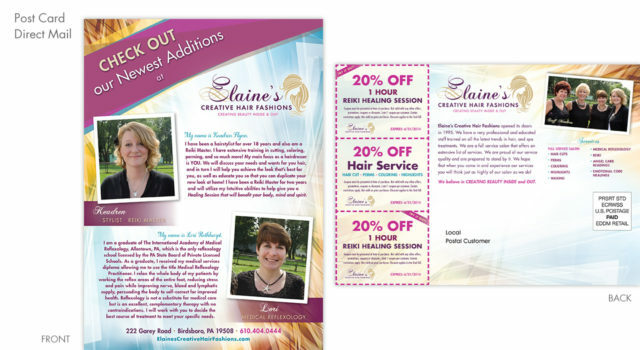 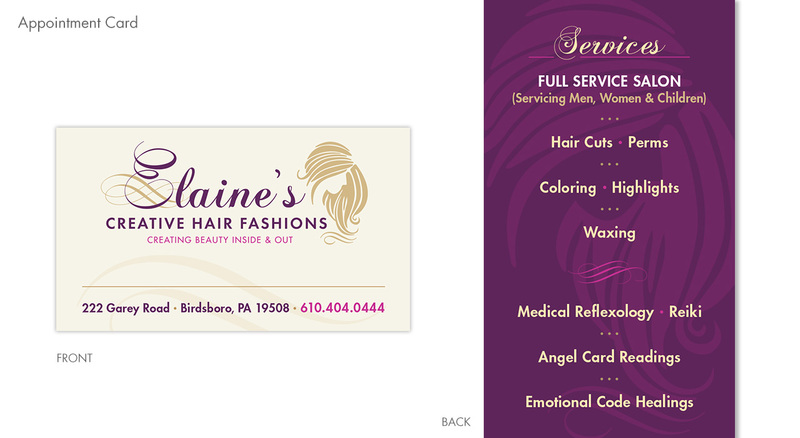 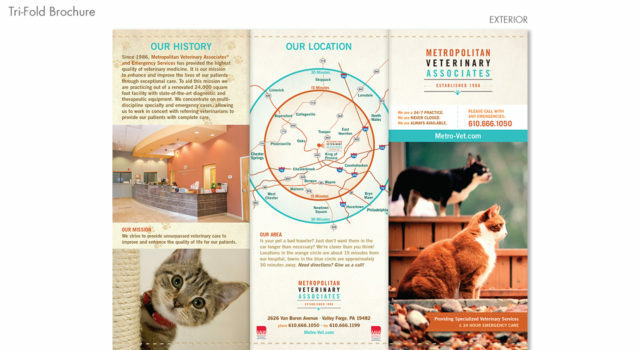 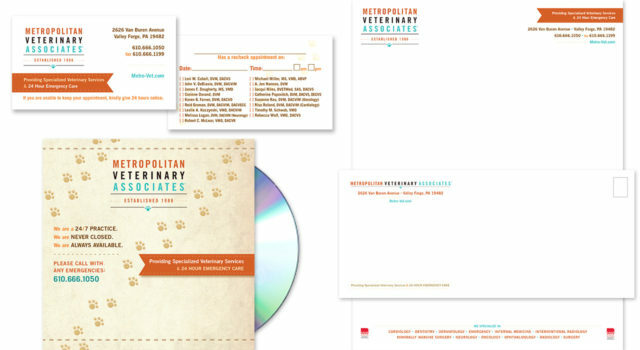 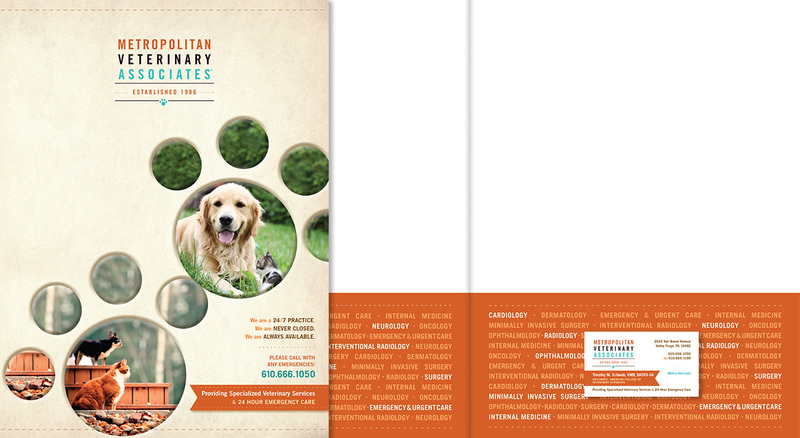 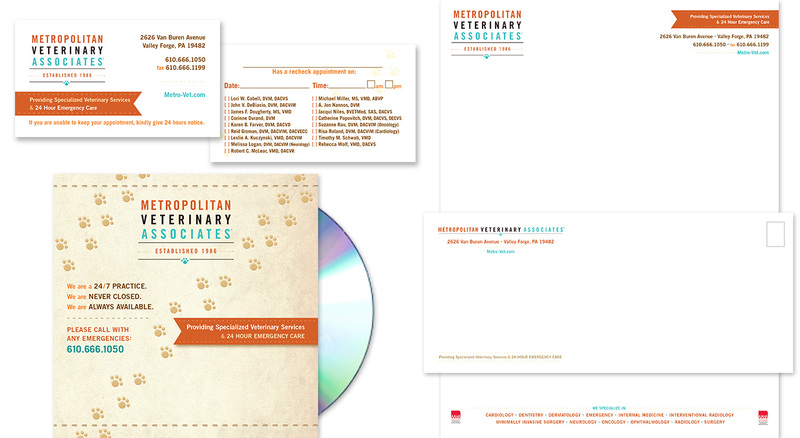 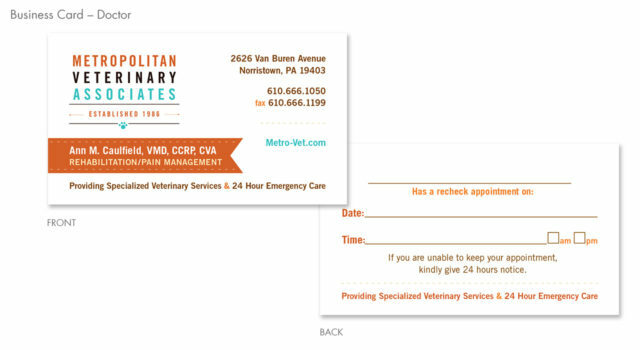 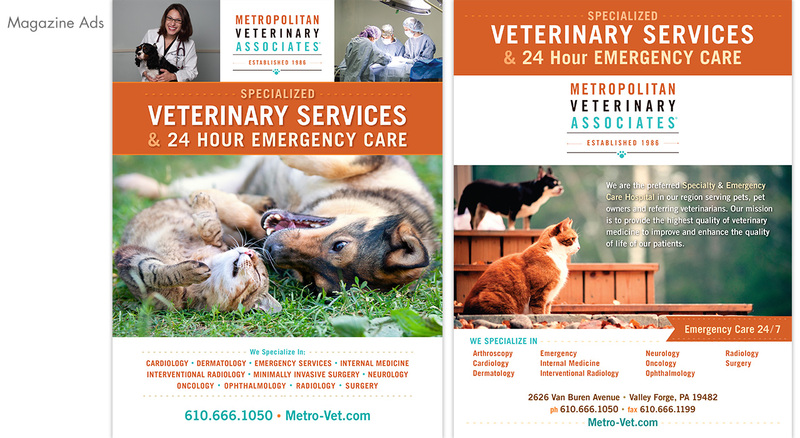 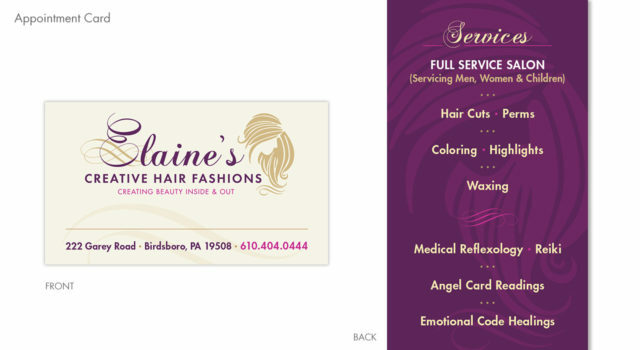 I designed a logo and marketing pieces for local hair salon in Birdsboro, PA.
Metropolitan Veterinary Associates, I redesigned all corporate identity and marketing materials for local emergency hospital. 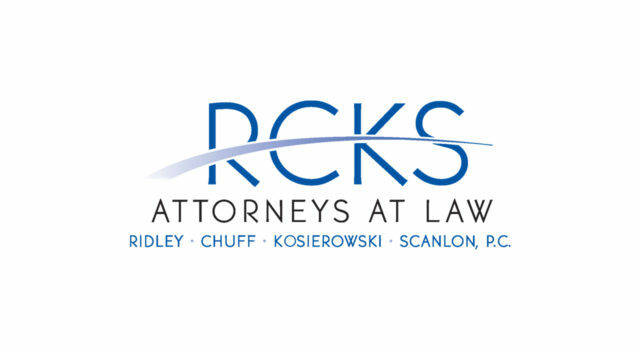 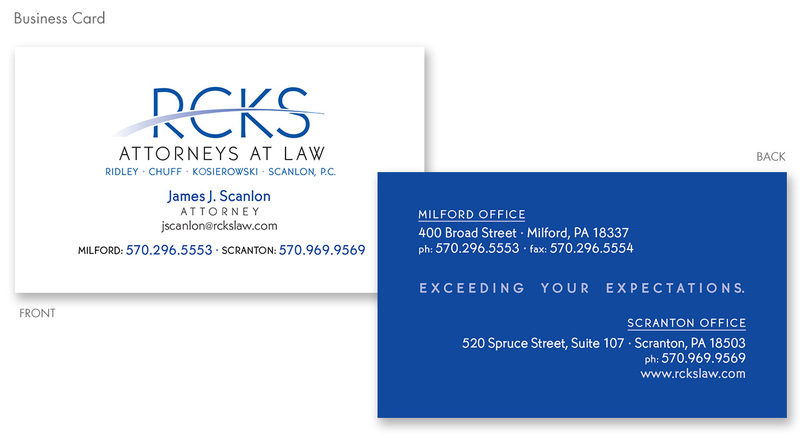 Ridley, Chuff, Kosierowski and Scanlon Attorneys at Law. 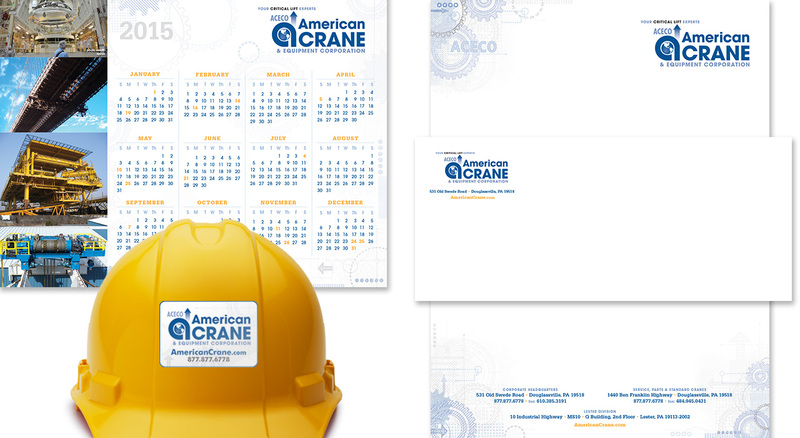 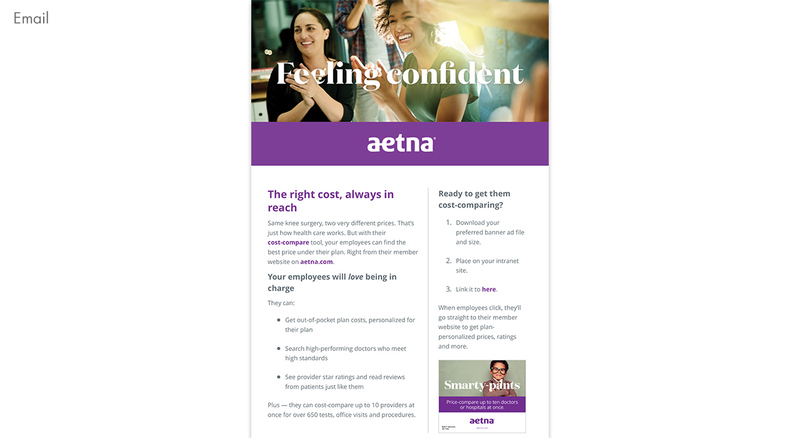 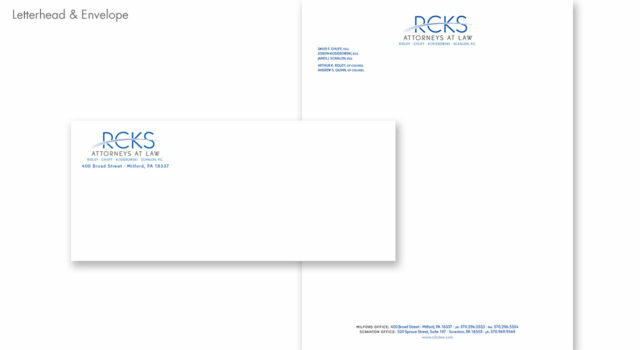 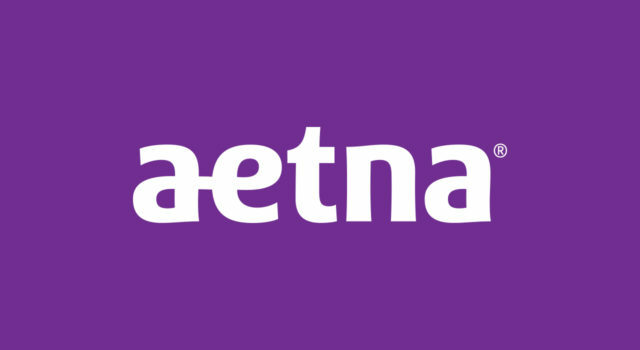 I designed a logo and corporate identity system as well as marketing materials. 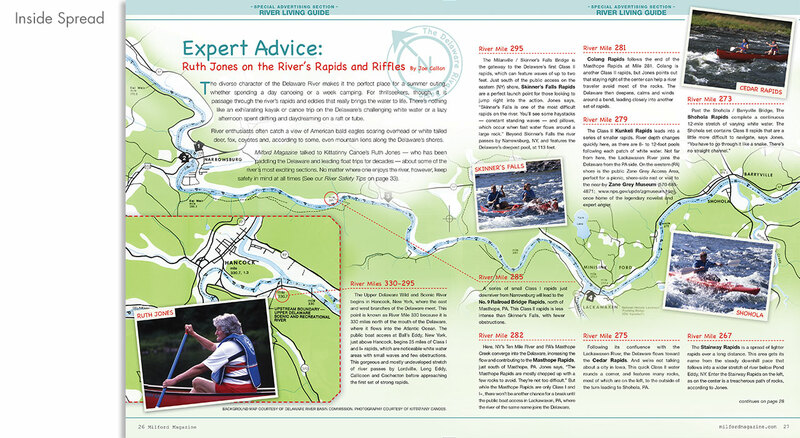 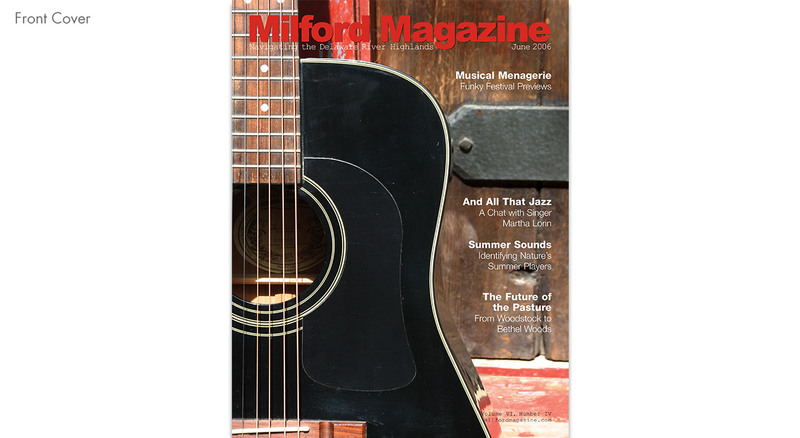 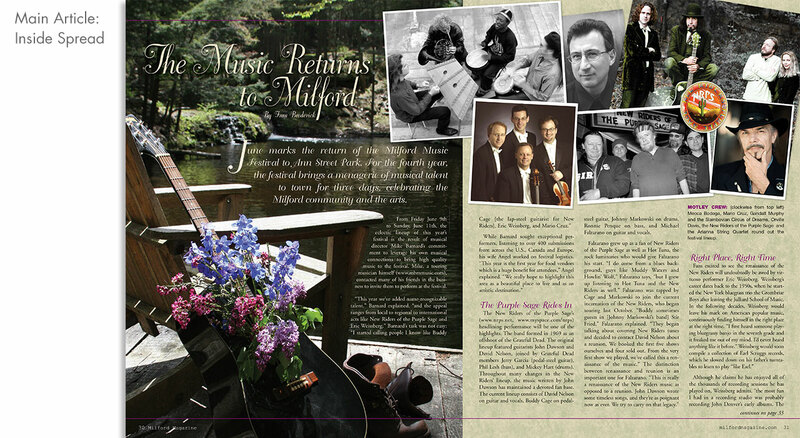 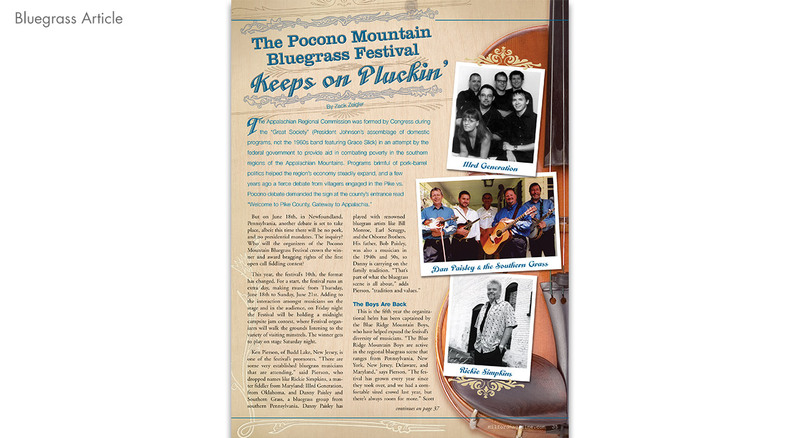 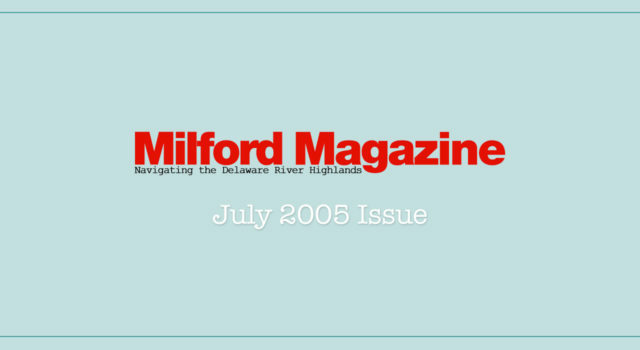 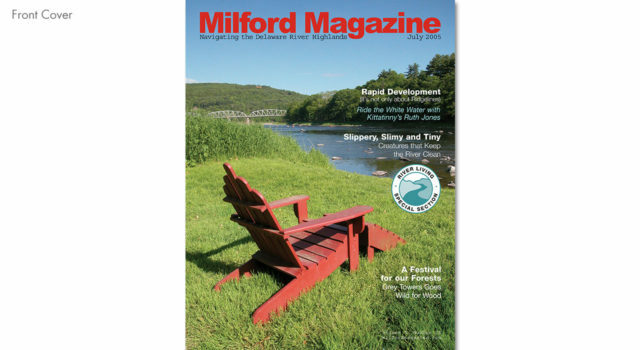 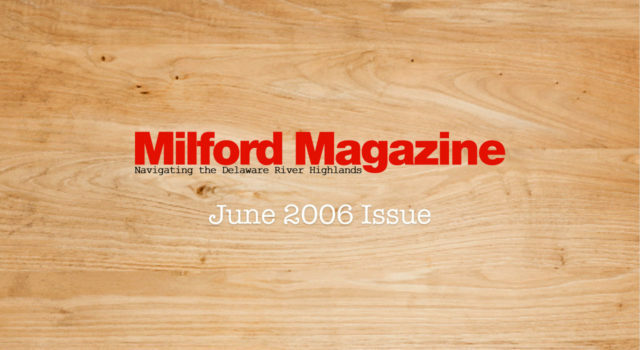 RCKS law is located in Milford, PA.
Milford Magazine July 2005 Issue.